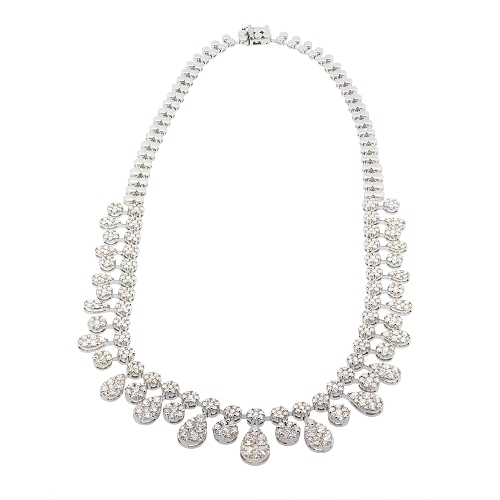 Fine diamond necklace in 18k white gold with tear-drop dangles all encrusted with brilliant white diamonds. Diamonds approx. 13.03ct. Necklace 16"